3 dimensional fit simulation software for virtual fitting and draping of the garment created using CAD patterns. The measurements of the fit model and garments spec is given by the client. This helps us in speeding our approval of fit, Viewing colour combination to near perfection and interaction with the customers, online or by video conferencing. 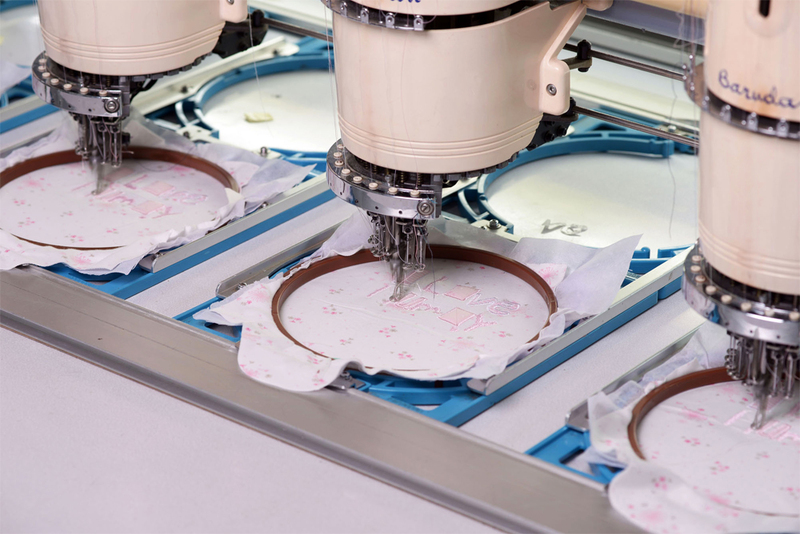 The software also lets you to view how the products will look even before it is made. We have in -house dedicated design team to do research on print graphics/embroidery and printing techniques of Speciality Garment washes. We also have a team of graphic Artists for all hand created designs. 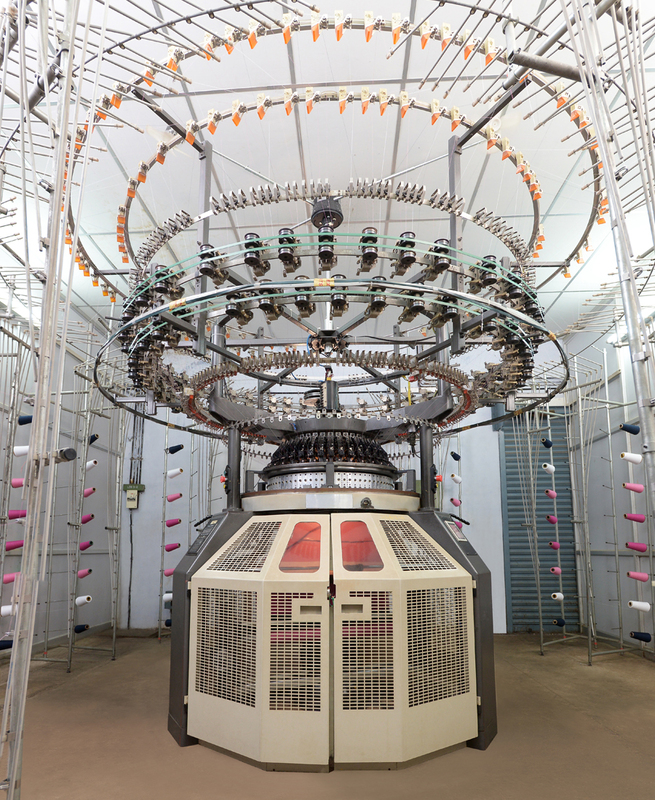 Our Spinning facility houses modern machines from LMW, India & Schlafhorst, Germany. 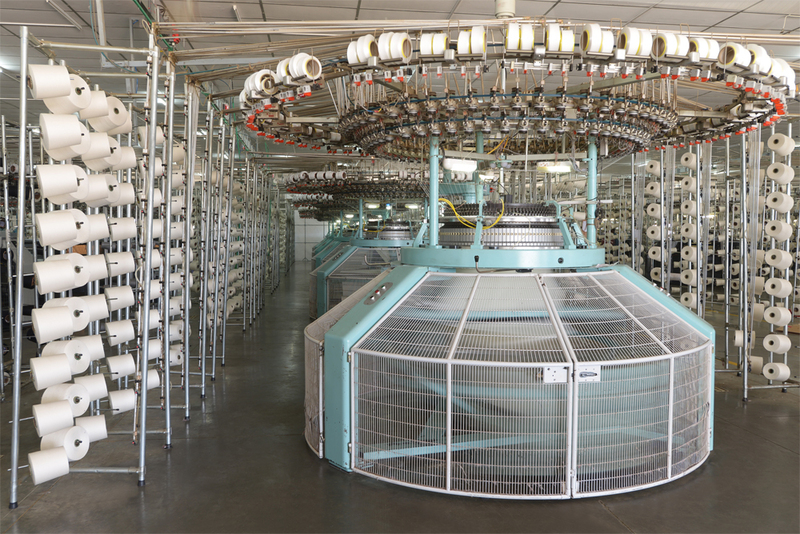 We also produce blended and organic yarn to cater to our socially responsible clientele. 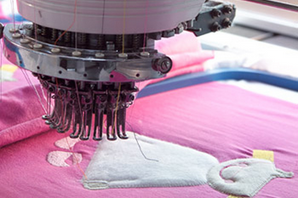 We also Produce Compact yarn, Slub yarn, Fair Trade, BCI, Organic Cotton, ETI. 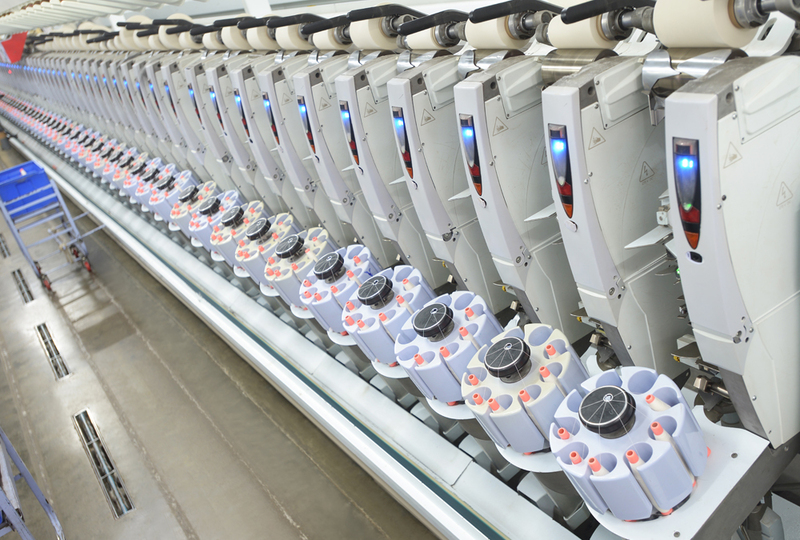 Our mill is equipped with high efficient autoconers which have the capacity to produce 45 tones per day. 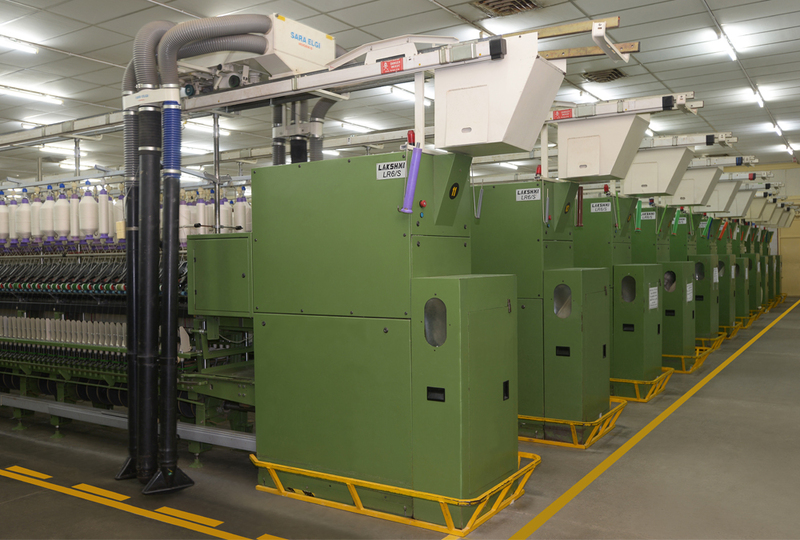 The sophisticated machines are much efficient in terms of productivity, energy efficiency and environmental friendliness by reducing fibre dust through self cleaning technologies.The autoconer delivers uniform and high quality packages. 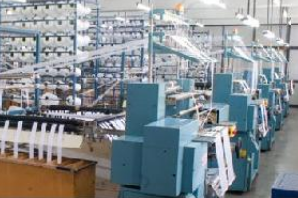 Our knitting plants, with Circular & Flat Knitting machines imported from Europe and Asia knit a varieties of fabrics – Jersey, Rib, Interlock, Pique, Feeder & Auto Stripes, Jacquards, with Lycra, flat knit collars, waffle, Fleece in all gauge and feeders. 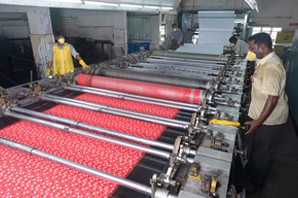 The entire fabric produce in house is suitable enough capacity to meet our requirement . 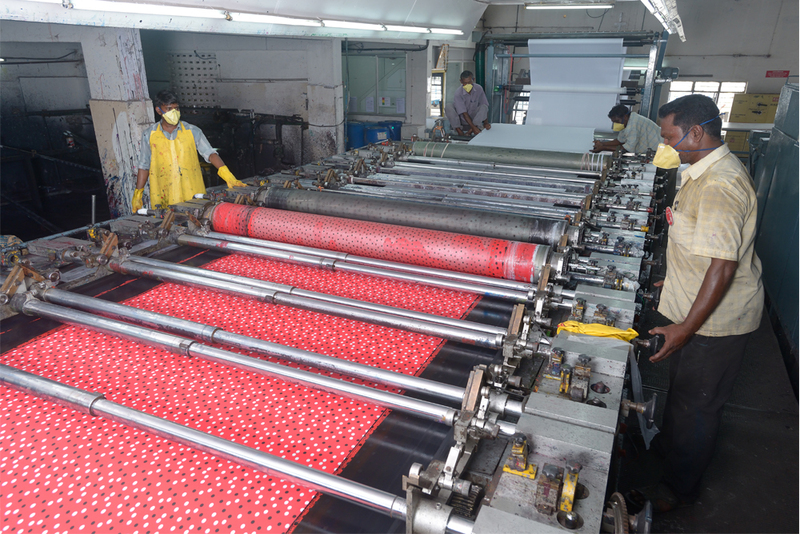 We are capable of producing all kind of specialty fabrics and performance technical fabrics. 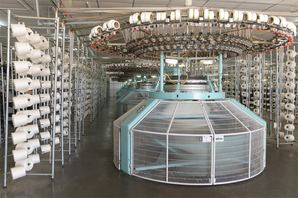 Our elastic division manufactures both knitted and woven elastic by using Comez (Italy) and Jacob Muller (Switzerland) machines. We have the facility of printing barcodes, price tickets, carton stickers and labels, and packaging materials. We have in house EDI (Electronic Data Interchange) facility also. 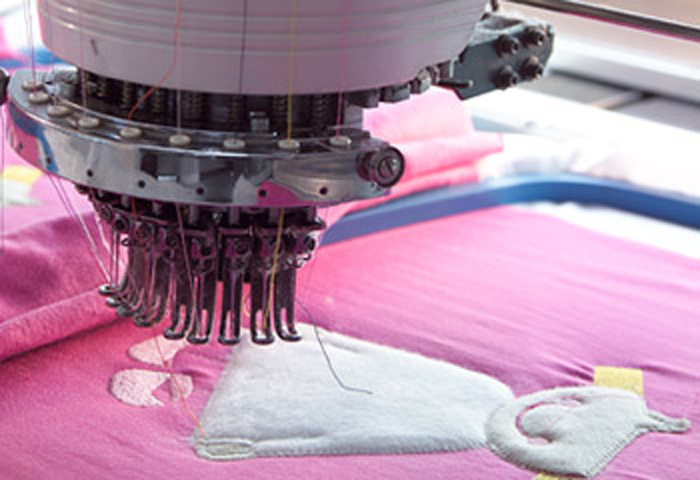 Our embroidery divisions have sophisticated Japanese and German machines using CAD/CAM designing, which enable mass scale execution of intricate embroidery in upto 9 colours with, Laser cut & Sequence, with latest technology. For fine finishing, we have techniques like sueding / brushing and performance finishes that include antimicrobial, UV, wicking and so on. Our compacting division has tubular and open-width machines like Albrecht from Germany and Ferraro from Italy. The Ehardt and Leimer machines are available for auto slit opening. 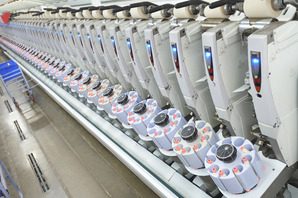 The Montex, Ewha open-width stentering machine with Bianco computerized weft straightener enables fabric straightening. 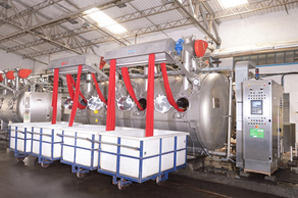 We have multiple washing options like silicon wash, stone wash, enzyme wash, bio-polish,vintage washes, etc. 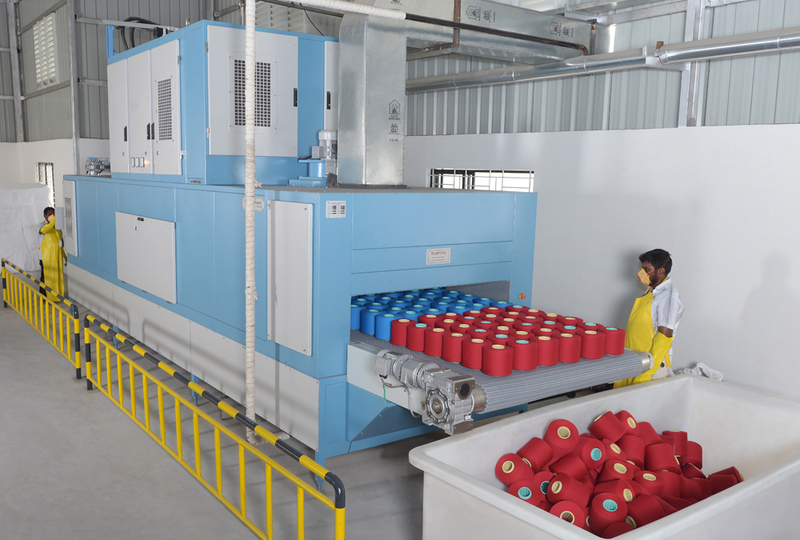 To process knitted and woven fabrics, the fabric controlled shrinkage relax dryer machine from Alea, Italy is available. Printing is one of our chief strength. Equipped with two rotary printing machines, we produce innovative and trendy designs in pigment, reactive and discharge up to 10 colours with engineered repeat options. 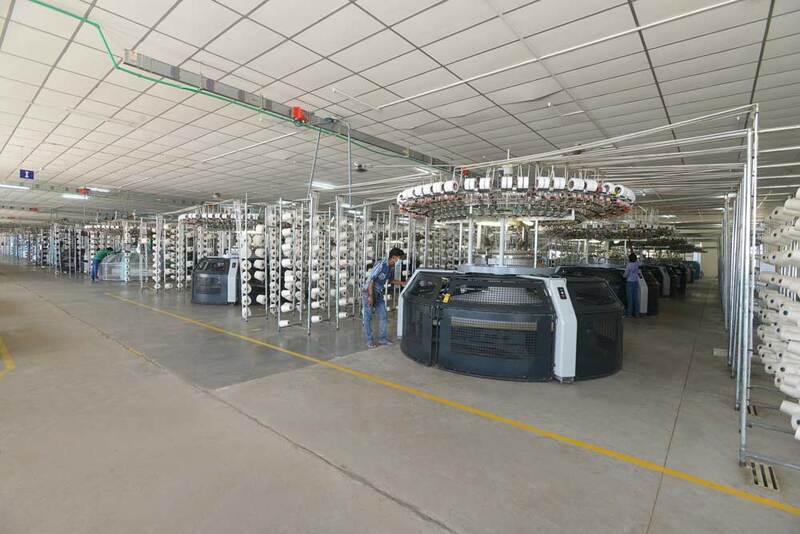 Our garment spot printing division facilitates pigment and Plastizol prints on Sroke, Askme, MHM machines from Austria, Portugal, Taiwan and India. We are also capable of thermal transfer printing, flock printing and specialized prints using latest print techniques as Sublimation Printing and Digital Printing. 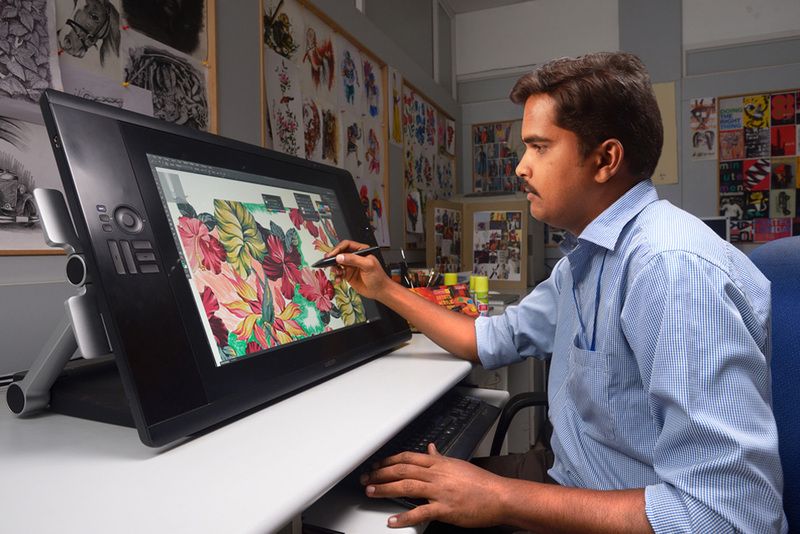 Our printing machines are capable of creating trendy and delicate designs and it is one of our biggest fortes. 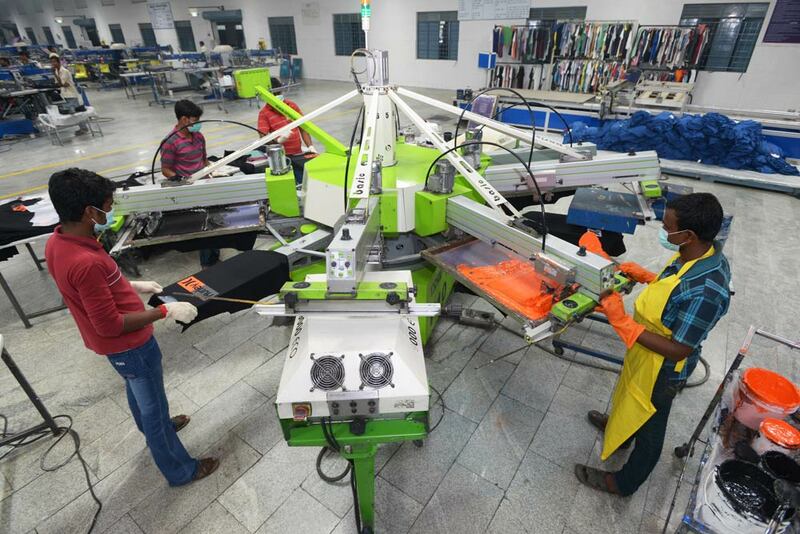 Our production facilities are state of the art factories equipped with the latest in technology used in garment manufacturing right from Gerber cutting to packing comprising Japanese, European & American machineries. 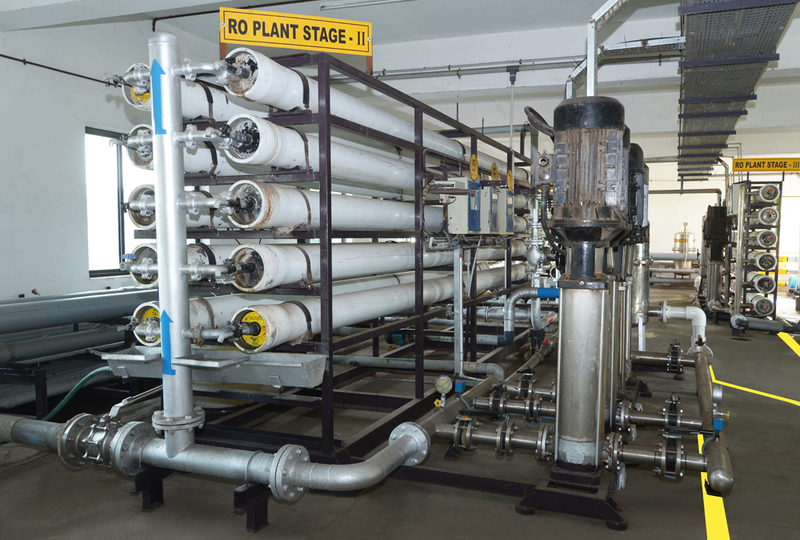 A strong Infrastructure enables us to meet the customers requirements even before the proposed deadline. Combining the best craftsmanship and contemporary machinery like Lectra, Gerber and Tuka Tech Automatic, a high degree of precision in cutting is achieved. We have the best in class sewing machines like Juki, Pegasus, Siruba, Orbito, Brother, Hasima, Sintex, Eastman, etc. from Japan, Singapore, Taiwan and Hong Kong. Right through our production processes, we have rigorous testing of physical and chemical parameters to ensure zero-defects. 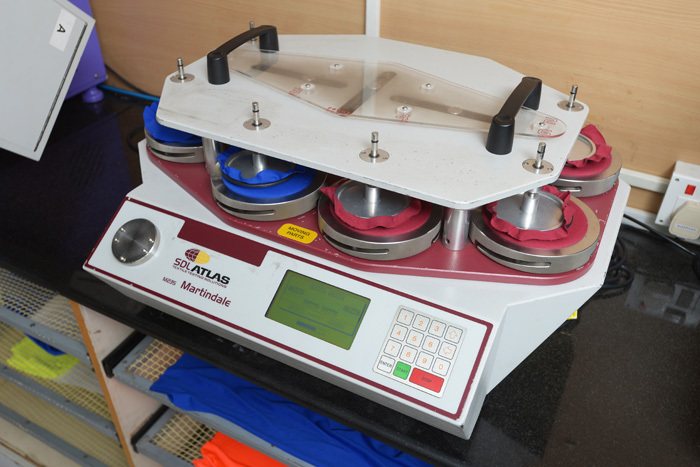 The balanced combination of supervisory personnel and sophisticated machines in laboratories could provide competent test results. The laboratory management system being accredited as per IEC/ISO 17025 and being approved by various brands. 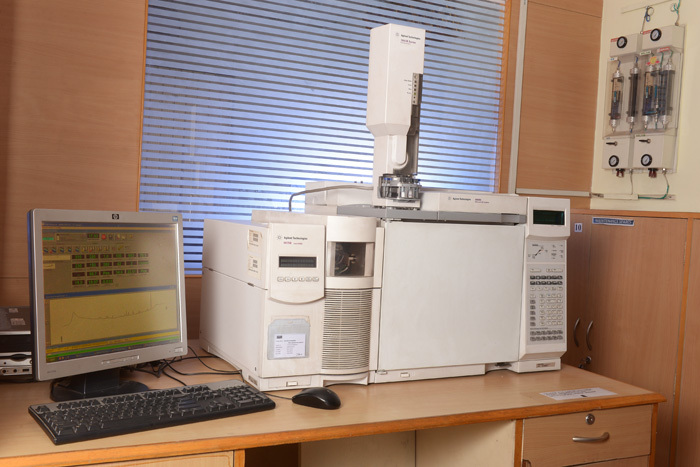 The laboratories have wider test capability to handle specific confirmation, performance/durability and safety tests including analysis of various organic toxins including azo dyes, phthalate content, chlorophenols, chlorobenzenes/toluene etc. The continuous improvement to generate internal technical competence which in turn supports the manufacturing very effectively across the processes in various technical aspects.